As Treasurer for the past three years Prime Minister Scott Morrison knows the inner workings of the economy better than most members of his party and anyone willing to serve in his cabinet. But it is clear to Chanticleer from interviews with more than a dozen chief executives and chairmen over the past three weeks of the profit reporting season that Morrison has his work cut out to rebuild confidence in the government’s ability to develop and implement long term policies. CEOs are concerned about the lack of certainty in relation to energy policy, the potential negative impacts of a sharp pull back in immigration numbers and the government’s continued propensity to penalise sectors of the economy simply because of their profitability. AGL Energy chairman Graham Hunt summed up the concerns about the vacuum in energy policy in an interview on Friday. “The solution for driving energy prices lower is investment in more capacity but to do that you need certainty,” he says. Hunt was speaking after announcing the resignation of AGL’s chief executive Andy Vesey, who fought back hard against federal government demands to keep the Liddell power station in NSW open and running after 2022. “Our decision about the closure of Liddell was entirely rational,” Mr Hunt said. One of the reasons business distrusts Morrison is because of his discriminatory tax policies. 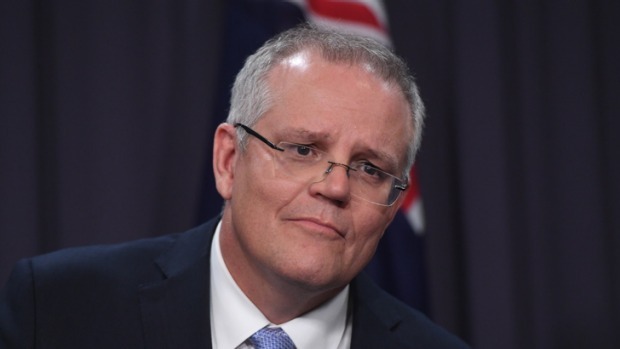 The fact that Morrison put forward tax cut legislation that excluded the big four banks sent a message to the broader business community that the Liberal National coalition’s $6 billion levy on the bank’s in the 2017 budget was not an isolated attack. Ironically, it was the economically irrational Senator Pauline Hanson who saved the big four from being singled out for special tax treatment for the second time in 12 months. Chanticleer recommends a Morrison listening tour of leading businesses in Sydney, Melbourne, Brisbane, Perth, Adelaide and Hobart. This would mark a change from the conventional behaviour whereby business spends a fortune on internal government relations staff and external lobbyists to be the conduit for day-to-day government relations. A majority of Coalition MP’s endorse the National Energy Guarantee, setting the scene for a showdown with Labor. 9.00am Malcolm Turnbull moves to head off leadership ballot by declaring the position vacant. 9.30am Turnbull declared the victor, securing 48 votes to Peter Dutton’s 35. 9.40am Dutton resigns from cabinet and moves to the backbench. 11:30am The PM’s office rules out going to an early election in an attempt to fend off another leadership challenge from Dutton. 3.30pm Malcolm Turnbull survives no confidence motion. 5.00pm Ministers start to offer their resignations from Cabinet. By 7.45pm, five of them have offered to quit. 9.00am Dutton starts making his case on policy as the PM’s front bench is increasingly in doubt. 1.00pm Company tax cuts killed off, with Senators voting 36-30 to kill off the second tranche of the Government’s plan to reduce the company tax rate to 25% for all businesses by 2026-27. Turnbull then dumps the policy. 6.00pm Attorney-General Christian Porter confirms he’s seeking advice from the Solicitor-General about Dutton’s eligibility. By 7.00pm, there were multiple reports of a petition being circulated among liberal MPs to bring on another leadership spill. 1.00pm Turnbull address the media. Prime Minister Malcolm Turnbull has overtaken Gough Whitlam today to become Australia’s 15th longest serving prime minister. 8.00am Turnbull accepts resignations of Sukkar and Seselja overnight. 8.10am Dutton releases legal advice he says shows he is eligible to sit in Parliament. 8.15am Peter Dutton fronts the media saying the prime minister has lost the support of his party. Turnbull rebuffs Dutton’s request for a party-room meeting. 9.40am Senior cabinet ministers senators Mathias Cormann, Mitch Fifield and Michaela Cash tell Turnbull he no longer has the support of the Liberal Party room and offer their resignations. 10.15am Labor tries to get Dutton referred to the High Court over concerns about his eligibility, but the motion is narrowly defeated 69 votes to 68. 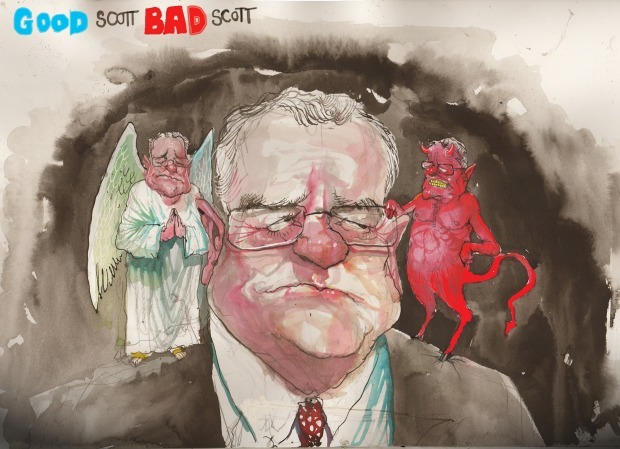 10.41am Liberal sources have confirmed Treasurer Scott Morrison will run for the leadership in a bid to keep out Peter Dutton. 11.45am The government moves to adjourn Parliament, an unprecedented move. Labor leader Bill Shorten says there is no functioning government in Australia. 11.53am With the adjournment bells ringing, Leader of the House Christopher Pyne pleads with government MPs to go to the chamber to vote. Labor heckles frontbenchers who have resigned for sitting on the frontbench. Midday Pyne successfully shuts down the House of Representatives, Parliament adjourned to September 10. 12.15pm Senate still sitting, Labor’s Penny Wong excited to ask questions of Simon Birmingham for the entire government. Dutton’s exercise of ministerial power in a matter involving two au pairs referred to Senate committee. Just before midday Solicitor General Dr Stephen Donaghue QC to release advice about whether Peter Dutton is in breach of section 44 of the Constitution. Gough Whitlam today to become Australia’s 15th longest serving prime minister. Talking to a range of business leaders would give Morrison an opportunity to take the pulse of the economy. After all, it is the corporations and their workforces which remain the beating heart of the $2 trillion Australian economy. While there have been many record profits reported over the past few weeks the picture is a little less rosy when you scratch below the surface. On Friday, Australia Post CEO Christine Holgate revealed that the record growth rates in its deliveries of parcels sent domestically and from overseas had slowed dramatically over the past few months. Prime Minister Scott Morrison needs to rebuild trust with business. Holgate believes the fall in house prices on the east coast of Australia have had a noticeable negative impact upon households. In the year to June Australia Post’s revenue from domestic parcel deliveries to consumers rose 10 per cent to $2.3 billion while revenue from international parcel deliveries jumped 10 per cent to $522 million. The volume of international parcel deliveries into and out of Australia soared 18 per cent in the year to June. These numbers included a staggering 46 per cent rise in the volume of inward parcels, mainly from China. But Holgate said that these growth rates had slumped dramatically in the past two months amid increased publicity about the collapse in the volume of properties sold and the decline in property prices. She says the volume of parcels shipped through Australia Post containing electronics goods was 19 per cent in the three months to June but has since slumped to 11 per cent growth. Shipments of parcels containing clothing were 30 per cent in the June quarter had also slowed to 11 per cent in August. Households are clearly feeling less confident and that will inevitably feed through into consumer sentiment. Economic analysis done for the NSW Treasury has found that over the past two decades there has been a direct correlation between the Sydney house price index and retail turnover. The simmering concerns in Australia about the cost of living have been reflected in the health insurance sector. On Friday Medibank Private chief executive Craig Drummond said that over the past year he had personally received thousands of emails from members about the cost of health insurance. Drummond said the universal message in the emails was that families were struggling with the affordability of health insurance premiums. Even so, Medibank was able to lift its membership numbers by about five per cent in the year to June. Drummond is trying to transform Medibank into a broader health services company including offering increased home services. This year the company expanded its home services to include dialysis, chemotherapy and palliative care. Mark Steinert, the chief executive of Stockland Group, one of the country’s largest housing developers, says he is concerned about suggestions from former Turnbull government ministers of cuts to Australia’s immigration. He says the country needs skilled workers to come here and work alongside Australians across a range of industries experience skills shortages. “I think the key thing I would like to see is long term strategic policy settings,” Steinert says. Among Morrison’s challenges is to deal with the impact of exogenous forces on the Australian economy including rising international interest rates and rising inflation. Westpac Banking Corp showed on Friday with its profit warning that local wholesale interest rates are not immune to the upward movement in interest rates despite the fact the Reserve Bank of Australia has not having raised rates since August 2016. Westpac said the cost of funding its home lending book have risen by about 24 basis points over the past few months because of movements in the bank bill swap rate. This will feed through to higher home loan interest rates at Westpac and that will most likely be copied by the other banks. That will escalate the financial pressure on households, which are already carrying the world’s highest levels of debt relative to net income. To get an idea of the extent of inflationary pressures in the world economy Chanticleer spoke on Friday to Graham Chipchase, the chief executive of pallets and logistics company Brambles. Chipchase said Brambles had experienced inflationary pressures for labour, transport and lumber. Labor costs were up 3 to 4 per cent, transport costs were up by 20 to 30 per cent and lumber costs were up by more than 20 per cent. These inflationary forces have been driven by a number of factors in Europe and the United States such as rising oil prices, shortages of labor, regulatory moves to cap the amount of hours that truck drivers can be behind the wheel and the strong US housing market which utilises a lot of timber. Brambles delivered a better than expected profit result for the year to June. Its shares were bouyed by the decision to sell or spin off its IFCO business which is a recyclable plastic container pooling operation. It could be worth as much as $2.5 billion based on it ten times multiple of its $253 million in earnings before interest, tax, deprecation and amortisation. Wherever possible Chipchase will seek to pass on the higher cost of inputs. It was a similar message earlier in the week when Chanticleer interviewed Ron Delia, the CEO of the world’s largest packaging group Amcor. Delia says one of Amcor’s key commodity inputs is resin. It is a polymer so its cost has been rising in tandem with the cost of oil, which has risen by 45 per cent over the past year. Amcor has pass through clauses in all its contracts which means it will be able to pass on the costs to customers. That tells you that the world’s many fast moving consumer goods companies will be under pressure to pass on the cost of packaging to their customers. Central banks are keeping an eagle eye on inflation and are gradually moving to stifle a breakout by raising interest rates. In Australia, economists think the RBA will not raise rates for at least another year and possibly for two years. Westpac’s chief economist Bill Evans does not think the RBA will raise rates until the end of 2020.